Click image to preview book and purchase. 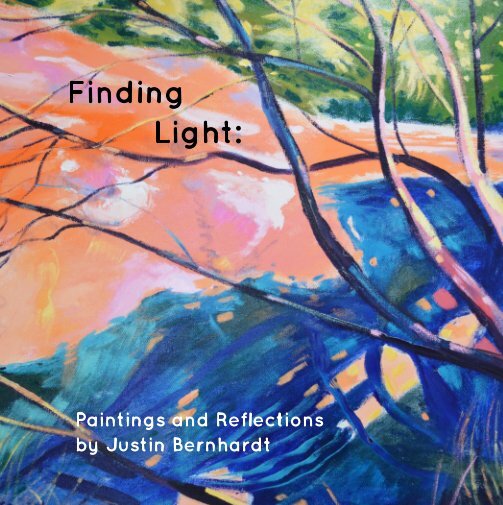 This book shows Bernhardt's square water microcosm paintings paired with his spiritual ecology inspired poetry relating to specific visual works. This book shows Bernhardt's vivid water paintings paired with his ecological and spiritual inspired writings. This is a collection of water microcosm paintings by Justin Bernhardt spanning five years from 2009-2014. Patterned, colorful, and energetically active, these works explore the dynamism and abstract gestural qualities of painting water and its reflections.